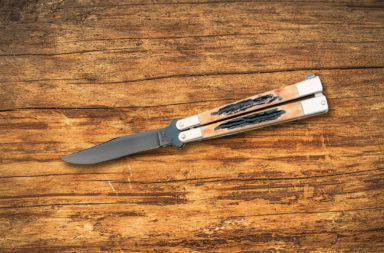 The Bear & Son Armor Piercing Butterfly Knife is an American-made balisong that won’t break the bank. 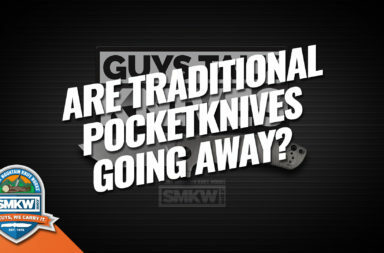 Too often in the balisong community, we see guys with these $500 knives that are more of a showpiece than being flipped. 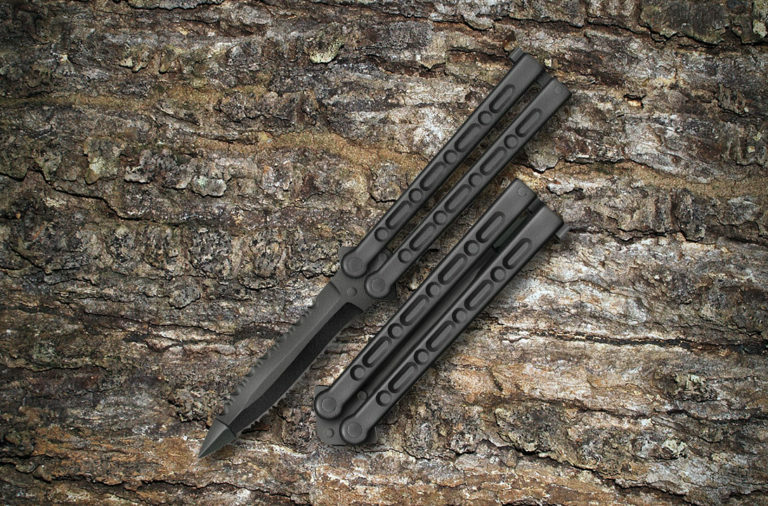 The Bear & Son Armor Piercing Butterfly Knife offers an affordable solution for those who actually want to practice with a quality balisong. 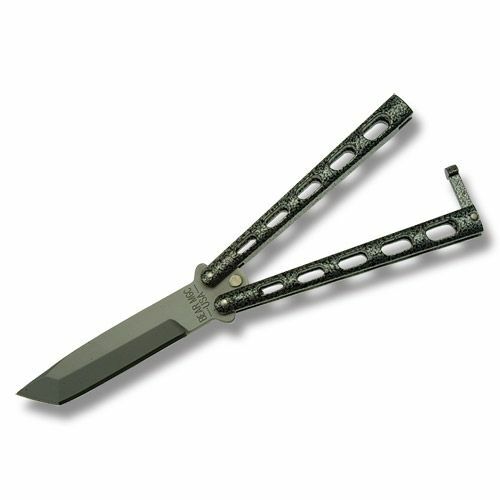 The tanto style blade is where the Armor Piercing Butterfly Knife gets its name. The tanto style blade is designed for maximum penetration when stabbing. 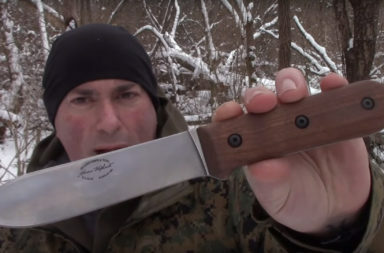 While you don’t really need a balisong for that, the tanto blade does have a tactical appearance that people tend to love. 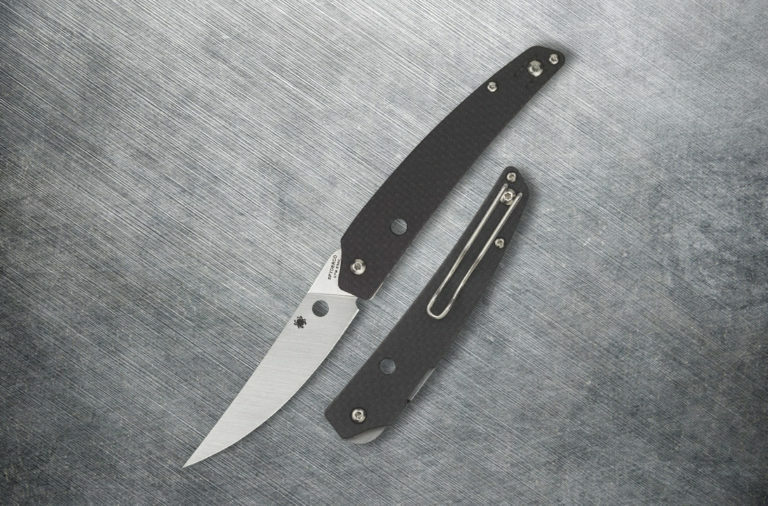 Bear & Son used high carbon stainless steel to craft an excellent balisong blade. 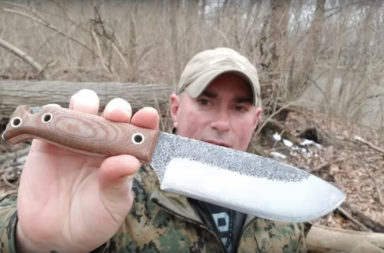 This steel can hold an edge fairly well and is hard enough to withstand dropping. 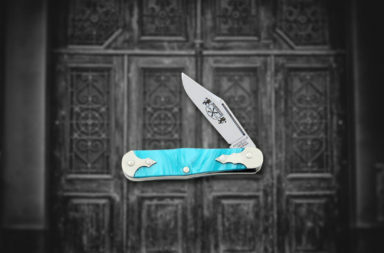 It’s a 4″ long blade which is a good medium length for some of the more elaborate aerials and tricks. 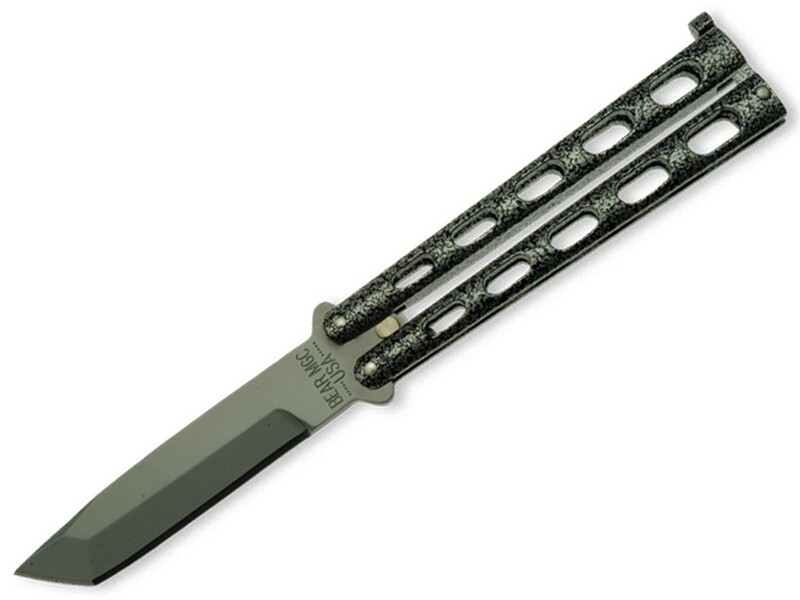 One hallmark of a quality balisong is the balance between the blade and handles. 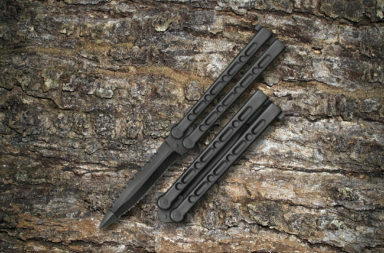 Bear & Son made the Armor Piercing Butterfly Knife’s handles from cast metal. 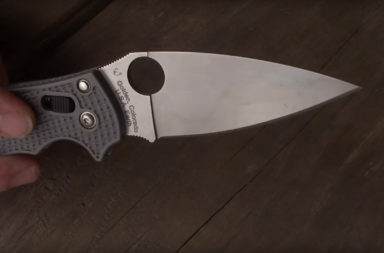 This material is lightweight enough to balance with the blade and also more cost effective than titanium. 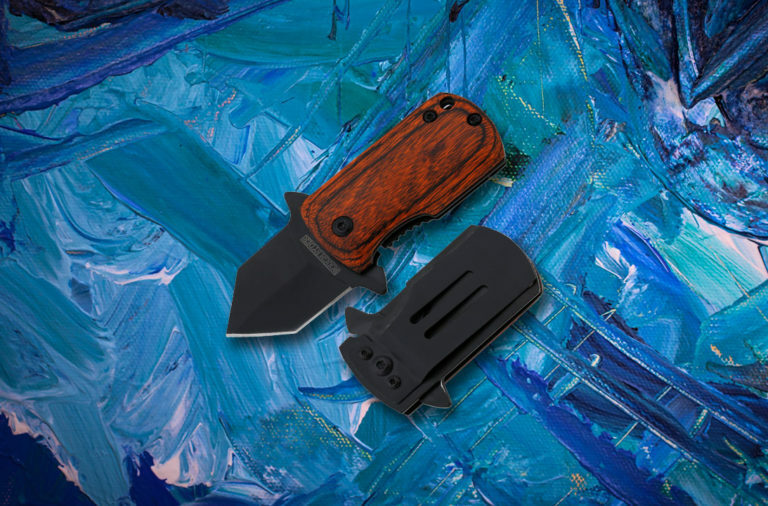 The handles feature and epoxy coating that not only protects the steel from drops, but also gives you a grip-like surface that makes flipping a bit easier for beginners. 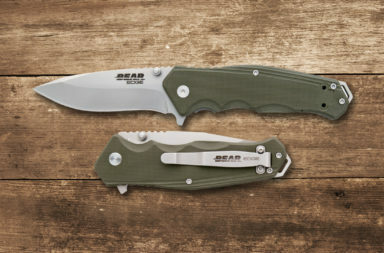 The safety latch is fairly standard, but it’s a sturdy overall design. 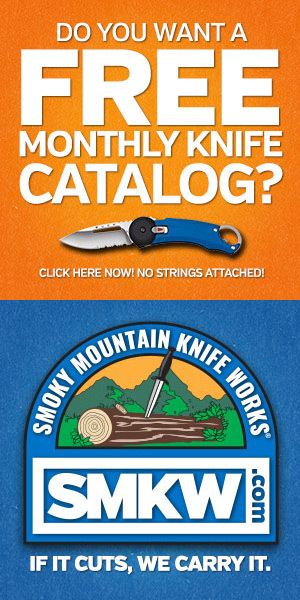 The handles are 5″ total in length, which isn’t too much to carry in your pocket. 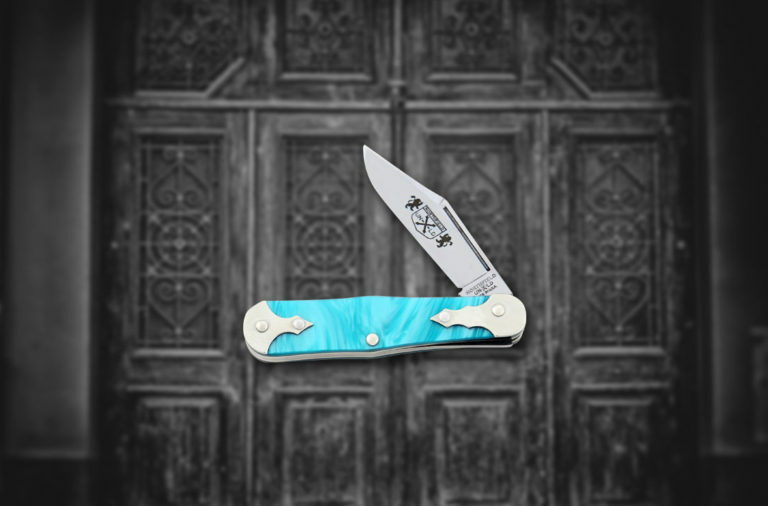 The Bear & Son Armor Piercing Butterfly Knife has impressive features at a great price. 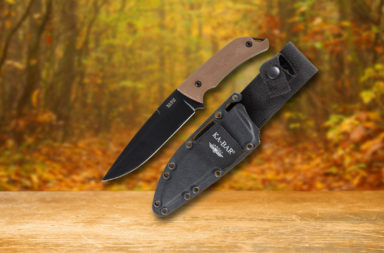 It’s a great option for those who are new to flipping, or for those that want to spare their premium Benchmade Gold Class knife. You can find the Armor Piercing Butterfly knife by clicking any link in this article or by clicking the button below. 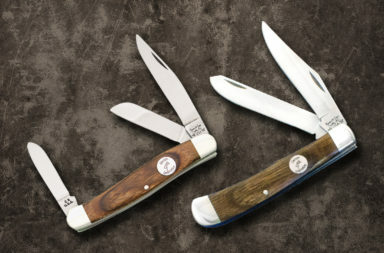 Have you seen Bear & Son’s premium butterfly knives?